The topic of computers in my last post reminded me that this month marks the 30 year anniversary of the object which made me a bona fide rock star throughout the world. That’s right, the whole freakin’ world! The year was 1981. I was in fifth grade and an unfortunate part of the desegregation busing experiment of the early 80’s. If you’re not familiar with this, the idea was to force students who lived in good school districts to attend an abysmal institution in the worst part of south-central Los Angeles while the kids from that area were bused each and every day to my neighborhood to attend a “good” school. To make matters worse, our class didn’t go wholesale. No, they split us up so we were in a strange neighborhood and cut off from our friends. So I was separated from my classmates and sent to a virtual prison of a school in near L.A. City College called Dayton Heights Elementary School. In retrospect, I had an excellent teacher. One of the best in my entire educational experience, in fact. I still remember his name: Mr. Clifford Claycomb. 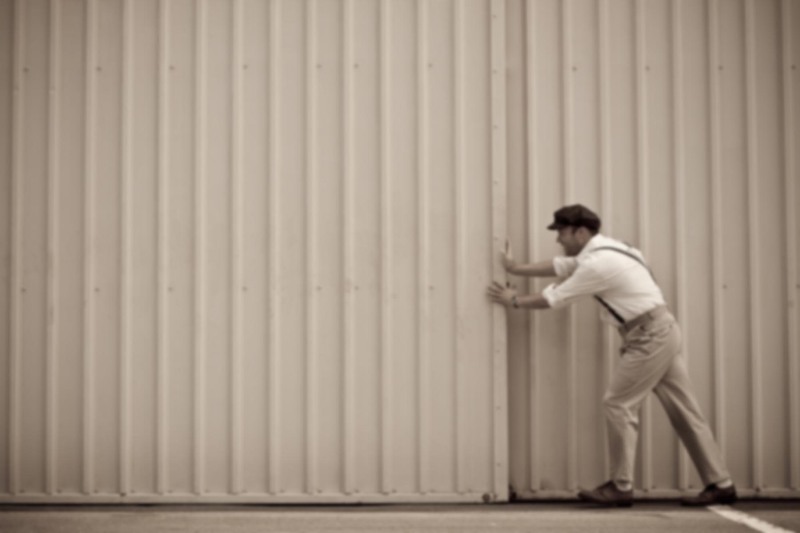 To show you what an amazing instructor he was, when my father had a tough time making it to a parent-teacher conference, Claycomb invited him to his home for a meet-and-greet conference after hours. As I recall, Mr. Claycomb even cooked dinner for us. When’s the last time you saw that in a public school teacher? Anyway, computers just weren’t around in 1981. Nobody had them. They weren’t in schools, homes, and only rarely would you find one at an office. If you did it was probably a mainframe or mini-computer like the Basic/Four machines at my dad’s office in Vernon. I recall going there as a kid are being mesmerized by the sleek looking blue terminals. The keyboard and monitor were built into one unit. The screen was monochrome, but to me it still looked like something right off the bridge of the starship Enterprise. My cousin showed me a secret menu entry which would lead to a sub-menu of games that he had programmed. Instead of pressing a numeric key to perform a business function, he had programmed the computer so that if you typed in SEMAG (“games” spelled backward), it would lead you to the good stuff. That’s how it was in ’81. Computers may have existed, but we never saw them. Sure, within a couple of years the Apple II would start appearing in “computer labs” at school, but when you’re nine years old, two years is another lifetime. No, computers that year were for a select few to use at work. The idea of having one at home was absurd. Who could afford something like that? And then suddenly one day — I think it may have been Hanukkah that year — everything changed. My brother Neil gave me a fairly diminutive wrapped box which blew me away. It had a computer in it! Not a toy, not a video game console (only one neighbor even possessed one of those, the venerable Atari 2600), but an honest-to-goodness programmable computer with it’s own integrated keyboard! The ZX80 was so small and light that, as I look back on it, it might have been one of those product displays you’ll see in a Target or Walmart tagged with the placard “Non-functional unit for display purposes only”. A mockup, in other words. I wasted no time hooking it up to the small, ancient color TV we had on the kitchen counter. I didn’t even have a place to sit down — I had to program it standing up in front of the counter top, right in the path of traffic through the house. The counter was high, I was short, the TV was fuzzy, but it didn’t matter. I had a freakin’ computer! 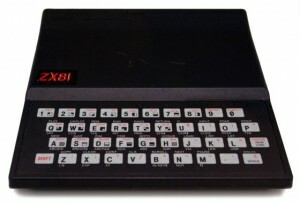 The difficulty with the ZX80 is that the machine wouldn’t accept the code directly. You had to use a series of multiple-keystroke sequences for each command. In the example above, the commands “if”, “len”, “then”, and “goto” would each require a multiple-keystroke sequence to insert that particular word. It was an odd way to program, and there were no “Idiot’s Guide” books to help me out. At least, none that I had access to. There was no internet to search for programs or help. No neighbors, kids, or teachers who knew anything about the mysterious little black box. Even at age nine, I quickly reached the programming capacity of the little Sinclair. To be honest, its primary value was in being a device I could take to school to show all my friends and make them jealous. Except the girls — for whatever reason, they didn’t seem impressed by it. I’ve often wondered what happened to that little computer. It was probably lost in the mad shuffle of boxes and furniture after my dad died the following year. It may well have been crushed into a thousand pieces under the weight of the metal Tonka toys I threw around the yard as a kid. Or perhaps it was donated and made its way into a computer museum somewhere. I’d like to think that’s where it is, out there collecting dust but still amazing the kids who see it. I’ll always think fondly of the ZX80. 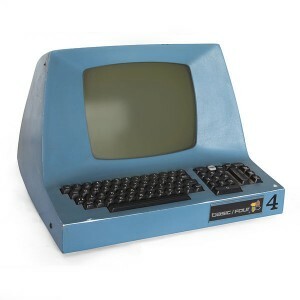 It was the first of a long string of classic computers (TRS-80, Apple IIGS, etc) which have graced my desk over the years, and it represented a classic time in life. It was the year Reagan started setting aside that famous “malaise”. The year the space shuttle first took flight, MTV was launched, and the first woman joined the Supreme Court.